I like how the pale narrow inner border finishes off the pieced centre. 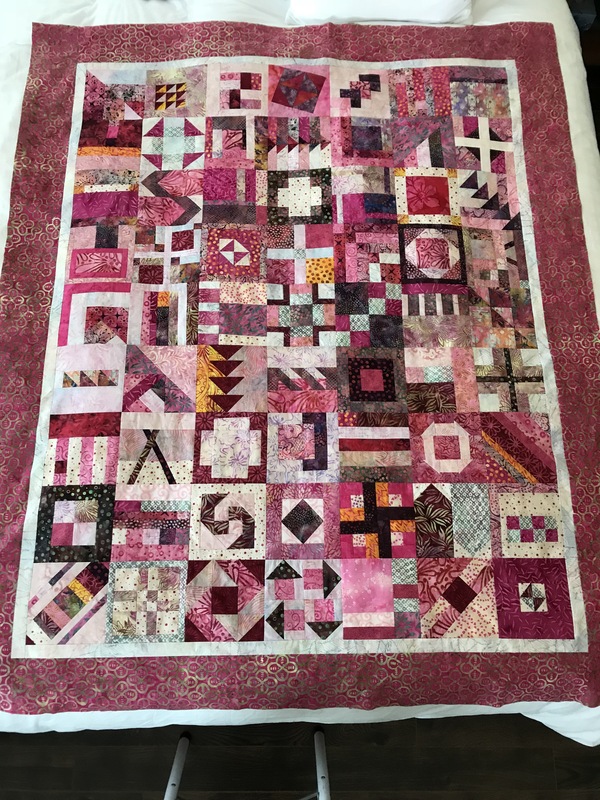 I was just lucky with the outer border – not many fabrics to choose from and at first I passed over this one, but in fact the “golden” shade within this pink brings out all the tones in the top. Next…. Now I have to piece a 14″ strip for the backing – this top has finished at 54″ wide. For the back fabric panel I need another 14″-16″ to allow enough excess width to assemble the sandwich. No, thanks. I’m good with what I have.